So what is “live-streaming video”? Live-streaming means filming a video as it happens and broadcasting it via social media. This may sound terrifying to the uninitiated but take note: Live-streaming video is the most popular form of video content on the web today. With nonprofits across the sector continually being accused of shying away from the spotlight and spending all of their money on administrative costs, I see live-streaming video as an innovative way to get out of the shadows, become more transparent, and create an authentic connection with supporters—all things that nonprofits and donors alike are craving! Live-streaming videos are broadcast almost exclusively through mobile apps like Facebook Live, Periscope, Instagram, YouTube, or Google Hangout. The tool that you use is not important as long as you do some research into what your audience members are using and which platforms they prefer. The videos are then stored within the platform for later viewing. They can also be downloaded and used again, if you so choose, on your nonprofit website or blog, for example. If your goal is to cultivate deeper relationships with your supporters and to get more exposure for your cause, live-streaming video is DEFINITELY a tactic to consider. In this post, I will share some ideas of how nonprofits can use live-streaming video to connect with their audience and tell their stories, all with the added benefit of increased reach on social media platforms. Check out the infographic below, and create your very own eye-catching nonprofit infographic at Venngage. The Metropolitan Museum of Art enlisted Brinda Kumar, a researcher and curator of the “Nasreen Mohamedi” exhibition, to walk viewers in real time through the exhibition with Sree Sreenivasan, The Met’s Chief Digital Officer. This real-time interaction with people who work at the Met serves to break down walls and encourages people to ask questions, driving engagement and raising awareness of its latest exhibition. Watch their videos at facebook.com/metmuseum/videos. Committed to transparency and accessibility in philanthropy, Bill & Melinda Gates Foundation CEO, Sue Desmond-Hellmann, often takes questions and comments from viewers live on Facebook. Viewers can ask questions about currently funded projects, planned activities, and trends in the sector as well as express their opinions on the topic at hand. Watch their videos at facebook.com/gatesfoundation/videos. What could be better fodder for a live-streaming broadcast than a dive off the coast of California? Nonprofit explore.org followed oceanographer Sylvia A. Earle as she explored the Channel Islands’ kelp forest. Knowing its Facebook fans are passionate about conserving the kelp forests and the aquatic creatures who live there, the video provides a live, in-the-moment glimpse into its work and the beautiful environment it is preserving. Watch their videos at facebook.com/endangeredanimals/videos. The Humane Society of the United States uses live-streaming video to take supporters directly into the field of animal care and rescue. Through live streaming baby raccoon and baby bird feedings, it invites its supporters and anyone interested in animals to ask questions of wildlife experts and interact with staff and volunteers. Watch their videos at facebook.com/humanesociety/videos. Disease research and advocacy organization Fred Hutch (formerly the Fred Hutchinson Cancer Research Center) invites viewers “into the kitchen” to talk with a featured chef at its big fundraiser, the Premier Chefs Dinner. This not only creates buzz for the event but it also helps raise money from people who are unable to physically attend the fundraiser. Watch their videos at facebook.com/HutchinsonCenter/videos. Organized to leverage the power of celebrities to raise money for children living in poverty, Red Nose Day USA featured a live, backstage conversation among actresses, Jane Lynch, Yvette Nicole Brown, and Mayim Bialik. The broadcast helped raise awareness of Red Nose Day USA as well as raise money for the organization. Watch their videos at facebook.com/RedNoseDayUSA/videos. The New York Public Library (NYPL) hosted a special story time in front of City Hall to raise awareness about its early literacy programs and to advocate for more investment in libraries. In the captions of the live video, available for viewing afterward, the NYPL encouraged people to take action on behalf of library funding and provided direct links to places where viewers could get more information and get involved. Watch its videos at facebook.com/nypl/videos. Live streaming doesn’t have to capture dramatic moments, but when it does it’s very effective for mobilizing supporters—for example, when Greenpeace USA Executive Director, Annie Leonard, was interviewed live in front of the US Capitol, moments after being arrested at a #‎democracyawakens protest. Watch its videos at facebook.com/greenpeaceusa/videos. This type of interactive event can be a live, exclusive, invite-only Google Hangout with the executive director and board chair, a public event such as a TweetChat on Twitter, or a live-streaming video interview on Facebook. Live Q&As require minimal planning (just make sure all the technology is working beforehand) and have the added benefit of providing you with a lot of content afterward that you can then re-use on your website, your email newsletter, and your blog. Invite supporters and those curious about your cause to a live AMA with the executive director, key staff person, major donor, or, better yet, a person that has directly benefited from your programs and services. This type of live video can be very lively and usually generates a lot of great questions and comments. Live video series. Consider creating an entire series that broadcasts at the same time and day each week–much like a TV show or a TweetChat–so that your fans can count on it and put it on their calendars. Viewership will need to build over time, but your supporters will come to rely on this broadcast as a means of learning about the latest news at your organization and the most current results of your work. Newsjacking. Comment on news and trending topics at the moment that people are talking about them. This is especially vital if you are an organization that mobilizes supporters and advocates on behalf of a particular issue and you want to go beyond sending text updates as legislation unfolds. If you are not able to express an opinion on behalf of your organization, simply ask your viewers what they think and what they would do. Crowdsourcing. Get live feedback on a question or solutions to a problem you are having. Openly share the process by which your organization makes decisions and let your donors and supporters contribute to the conversation. What better way to build ownership and camaraderie than a live, unfiltered discussion about a potential strategic decision of the organization? Tell stories as they happen. Once you get more comfortable with Facebook Live and the way it works and once you get a sense of how your audience will react, you can start telling the stories of the people, families, animals, and communities that you serve in real time. It may sound scary, but it can be exciting to share your work with the world as it happens. Before embarking on a live-streaming video series or investing a lot of time and money into developing an event to broadcast, take some time to discover what your audience wants. Talk with your donors and those who are most passionate about your organization to determine the types of live-streaming online events in which they would be most likely to participate. Do they prefer live Q&As or interviews? Do they want to see more behind-the-scenes videos from the field? What would it take to get them to share the video on their own social networks? Getting your supporters, stakeholders, and donors involved in choosing the topics and format for your live-streaming videos is a surefire way to elicit goodwill and build loyalty. This is an excerpt from the book Storytelling in the Digital Age: A Guide for Nonprofits, now available in paperback and Kindle. 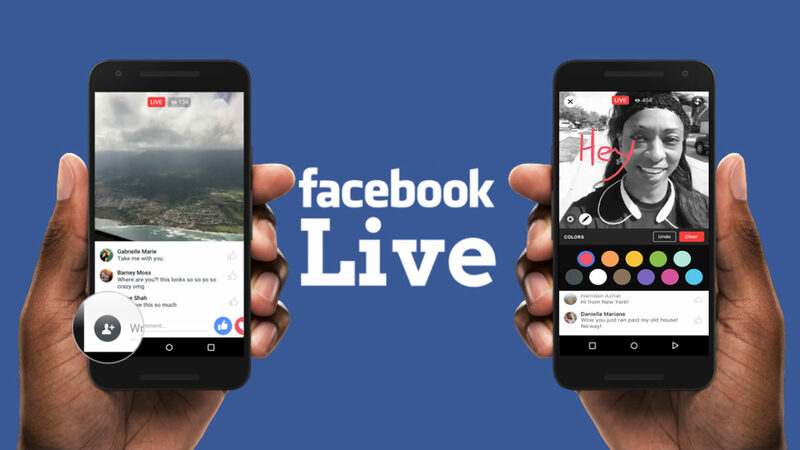 Getting ready to dive into Facebook Live video? You need this checklist! If you are exploring using Facebook Live for your nonprofit, you need my Essential Facebook Live Checklist for Nonprofits! In this freebie download, I cover exactly what you need to do to plan, prepare, go live, and follow up afterwards. Enter your email and then keep an eye on your inbox! You are one smart cookie! Keep a sharp eye on your inbox and you will be getting the Digital Storytelling Work Plan template shortly!